In Ethiopians, like in other Africans, the incidence of otosclerosis is lower than in Western and Asian populations. 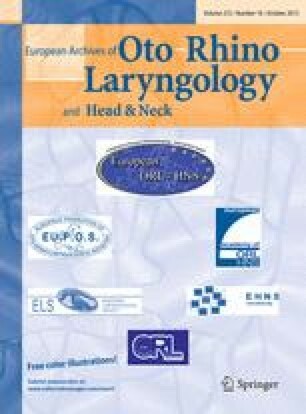 Unfortunately, due to the lack of available otorhinolaryngology specialists many patients are not treated and suffer the progression of the disease and severe hearing loss. This program of the Global ENT Outreach Organization (GEO) together with the Ethiopian partners was done to help some of these patients and in parallel to evaluate the presence of the oxidative stress bioactive marker 4-hydroxynonenal (HNE), which is known as major lipid peroxidation product and the second messenger of free radicals, in the otosclerotic bone specimens. Namely, we described recently that as HNE acts as a bone growth regulator associated with pathogenesis of otosclerosis. The prospective study conducted at the ENT Department of the Migbare Senay General Hospital, Addis Ababa, Ethiopia in June 2012, under the auspices of the Global ENT Outreach Organization, USA. Altogether 36 patients (male = 12, female = 24) underwent surgery due to the previous otosclerosis diagnosis based on the clinical and audiometric findings. The bone samples were harvested from patients with intraoperatively confirmed otosclerosis diagnosis. Immunohistochemistry for HNE-modified proteins was carried out on formalin-fixed paraffin-embedded specimens. The presence of HNE was found in almost all bone samples analyzed, without particular difference in the HNE distribution pattern between the otosclerotic and respective control bone specimens. Although there was no significant association between the HNE appearance and otosclerotic bone outgrowth observed, several cases have shown tendency of higher HNE expression in patients with more severe hearing loss. The results of the present study are in contrast with our previous findings obtained on European patients most likely due to the differences between studied population groups. Migbare Senay General Hospital staff (ENT surgery department and operating theater staff) The Department of Pathology and Forensic Medicine staff, General Hospital Zadar, Croatia and EU grants COST Action CM1001.